We send and give out a lot of product samples. A LOT of samples. 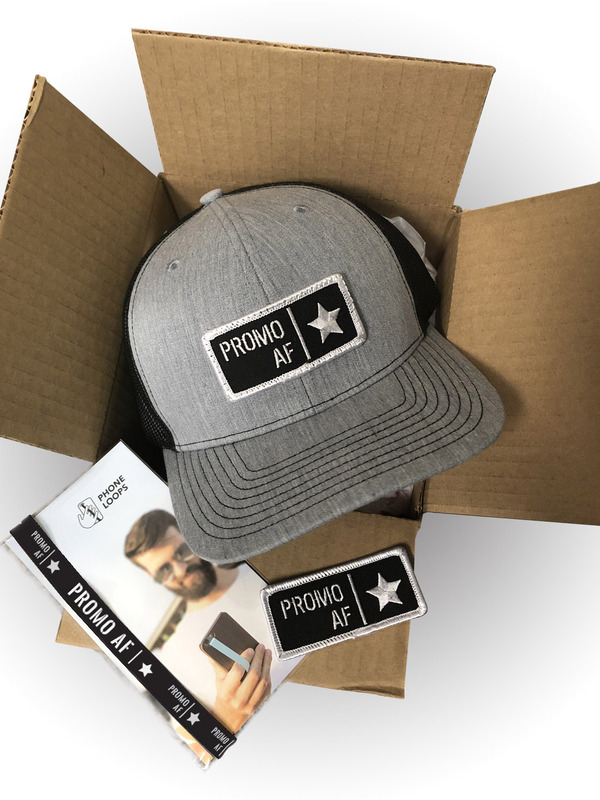 We send them off into the promotional products universe, hoping they’ll spread the word about EMT’s branding solutions, and generate memorable and meaningful sales for our customers. But every so often–like a message in a bottle–one finds its way back to us with a story to tell. Recently, we ran into a distributor who had one of our early Phone Loop Petite Loops on her cell phone. And after 3 long years, countless miles, and one thwarted phone snatching in Paris, this thing had taken one heck of a beating. However, despite a few bruises, this little promo was still going strong. Talk about durability! Examples like this show you the power that great promo products have to deliver brand messages that stand the test of time. And of course we were happy to provide our customer with a fresh, new replacement sample, and send this grizzled promo into a well-deserved retirement. In an age where people spend such an exorbitant amount of time connected to technology, we want to help your clients and their brands promote this concept of play and helping people enjoy the great outdoors! One way that people of all ages enjoy the great outdoors is bicycling. We have an entire section of products dedicated solely to bicycling. The best thing about these products is that they aren’t just good for distance cyclists. These products can be used every day, by people of every age. In addition, the ability to imprint in full cover on the entire surface of our helmet and seat covers means that your client can display messages and important reminders about bicycle and/or outdoor safety. Printing messages in addition to a logo helps recipients relate to your brand and the values it represents. Take a look at the flyer below and the products that we have available for your clients to brand. Can we provide you with a sample or a mock-up? If so, follow the link below the image to put in your request and one of our team members will get that done for you right away. See something your clients will love? Order a sample today! Click here. Indianapolis, IN – EMT (asi/52263) unveils one of the newest additions to its product line, the Golf N Brew™ divot tool. This product features a single pronged divot tool with a magnetic base, custom full color ball marker and bottle opener functionality. The polished black nickel finished tool also comes with a sleek belt clip for easy access. The Golf N Brew™ is small in size and can clip on to your belt loop or bag conveniently. The base is magnetized to hold the full color poly dome 1” diameter ball marker. The black nickel finish comes standard with are other metal finishes available (QUR). Production time is 6 working days with 3 Day Rush service available. EMT, based in Indianapolis, Indiana, is a manufacturer of emblematic jewelry, awards and other promotional products. For more information, visit www.emteasy.com or contact Destiny Loyd at (317) 803-2400. A copy of EMT’s catalog can be downloaded from the same website, or contact EMT by email or phone for a hard copy. The Bike N Brew fits in your pocket, is easy to access and bails the user out of all kinds of hurt. This tool is machined from high grade stainless steel material and carries a full color poly dome imprint. The Bike N Brew is 2.75” x .875” the perfect hand held multi-tool. Nurse’s Best Friend is Here!